I haven't been able to post any pictures from the past 4 days... mostly because I didn't feel like taking photos. It's been a difficult season in my life. 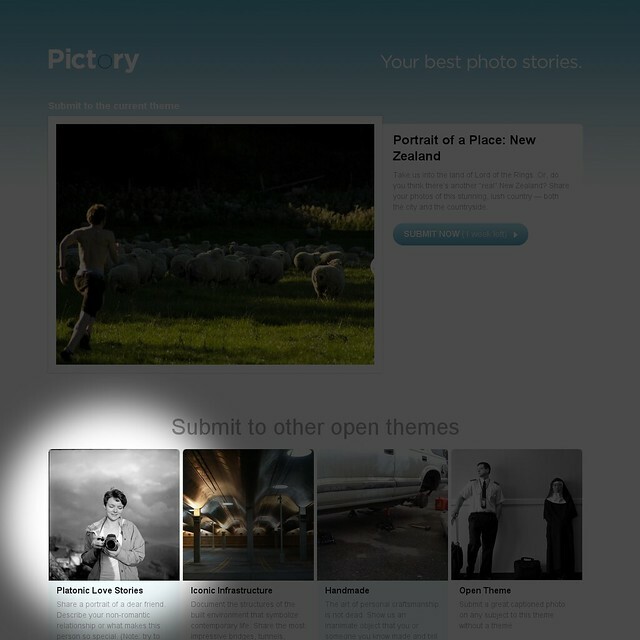 Anyway, in other news, I sent in a submission to Pictory, which is an online photo magazine curated and edited by Laura Brunow Miner. Right now, my submission is listed as an example on the "Platonic Love Stories," the picture features one of my dear friends Jacque, I just briefly talk about how our friendship is. I love the format of Pictory, in fact, I enjoyed it so much that much of my design decisions for this photoblog were based off of Pictory. Maybe I should tell more stories with each pictures. Too bad you had a difficult 4 days...I've had a difficult 57 days. What a pity.